Explore a middle world where land meets sea, where nether-worlds intrude on reality and death hovers at the edge of life. In a series of three workshops hosted by Horror writer Janine-Langley Wood, participants will produce new work for the Writing On Air festival in March. Janine is from West Yorkshire in England. She has been writing since girlhood, firstly in the form of heroine based comic strips. She developed an early taste for horror when, aged about nine, she’d sneak the Pan Books of Horror off her auntie’s bookshelves to be devoured in secret. When she’s not writing she’s teaching, her students ranging from prison inmates and ESOL beginners to Foundation Degree writers. Janine’s literary work has appeared in journals and anthologies such as Even the Ants Have Names, Diamond Twig Press, Under the Brdge, a Centre for Northern Studies publication, Braqemard, Hasty, Corvus and Krax magazines (more to come in Krax). Turning her hand to horror, her short fiction has featured in The Screaming Book of Horror, Noose and Gibbet Press and the 5th edition of Horror Library, Cutting Block Press (Shortlisted for a Bram Stoker Award for ‘Excellence in an Anthology). Baby-Trap, which featured in Screaming Book of Horror alongside the likes of John Burke (The Sorcerers) Charlie Higson and Robin Ince, recently made it onto Ellen Datlow’s Longlist for Best Horror of the Year. 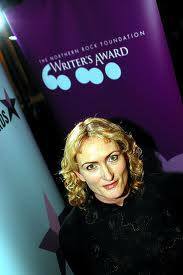 Starting out as a literary writer, Janine received a Northern Promise Award (Northern Arts) and mentoring by renowned author, Sara Maitland. In 2009 she had a short play read at The Courtyard Theatre, West Yorkshire Playhouse. Her first play, A Minor Catastrophe, was shortlisted for the BBC competition Falling About. Janine, who is living back in Yorkshire after a long love affair with the North East of England, is currently adapting her Northern Promise Award novel, Perfecting Lola Ponker, into a horror novel. Her first horror novel The Melting Dead (Damned Rite: Melt), came runner up in the international ‘Rogue-Writing Contest’ and was released in December 2014 with Assent Publishing under its imprint ‘Bad Day Books’.